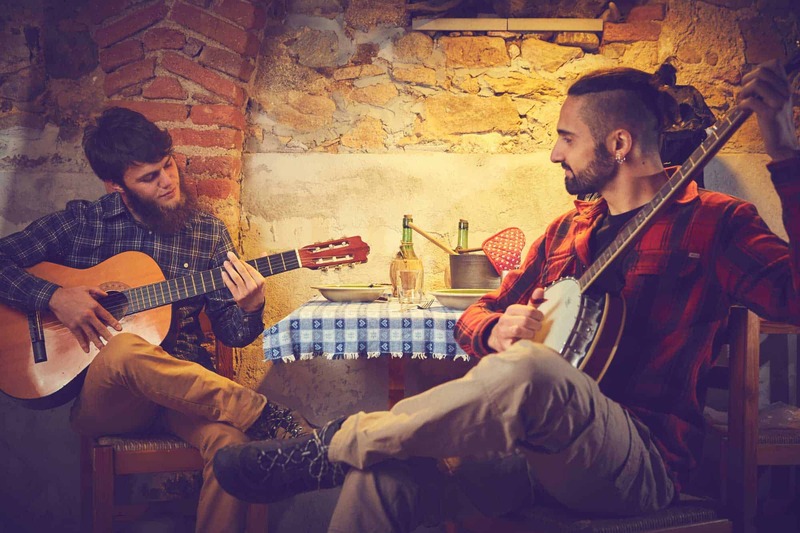 Kick off your shoes and explore the best way to learn banjo. We’ve got a few free banjo lessons here on this page just to give you a taste of how we do things. However, if you’re serious about learning banjo then sign up for a month and experience our easy step-by-step method. 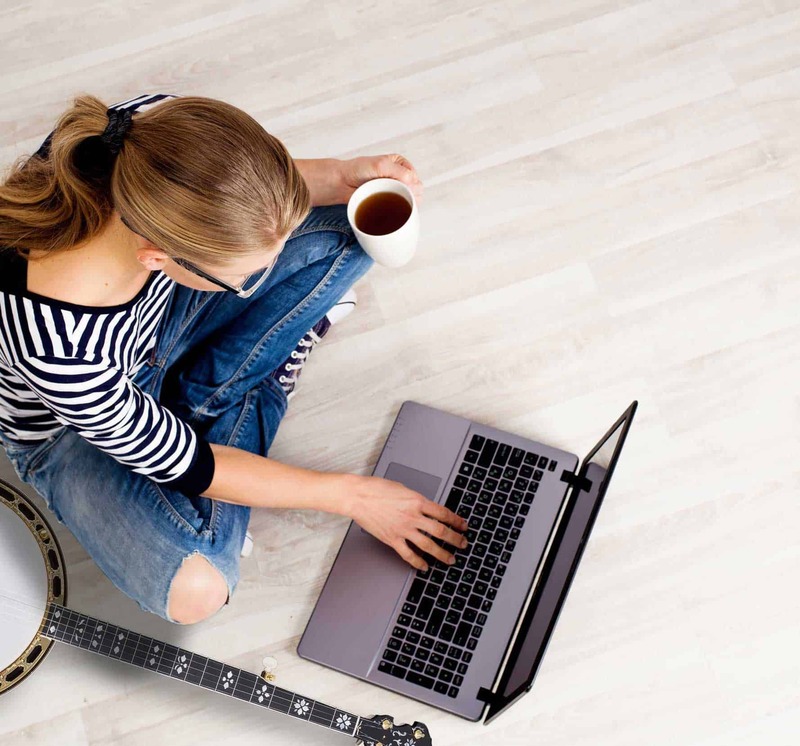 With over 100 lessons, you can’t find a better way to learn banjo on the web. What Kind of Banjo Should I Buy? 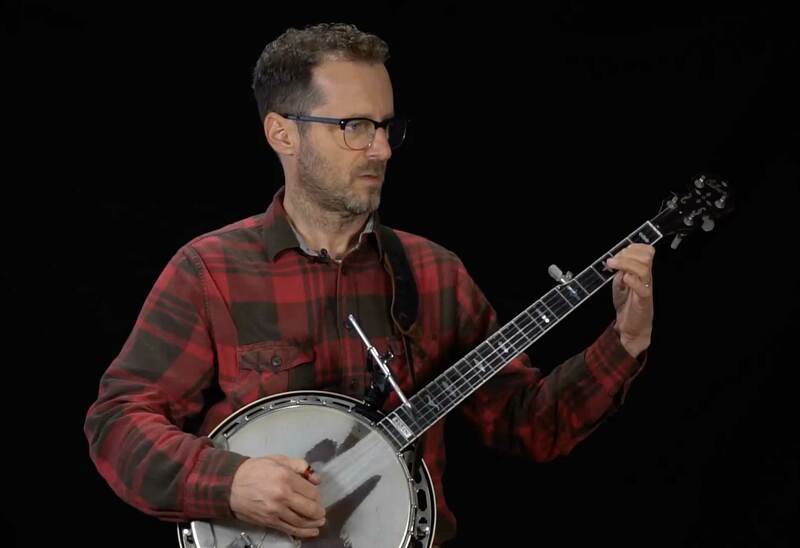 In this video our teacher John discusses what to consider when buying a new banjo. He’s got tips for buying online or in a store as well as discussing the different types of banjos. Greatly increase the speed of learning. Increase the likelihood of success. Cut down on frustration and stagnation. You are saving serious moolah compared to hiring a teacher and you don’t have to drive anywhere!  You can wander in the endless desert of youtube videos or you can use the tested Banjo Mountain curriculum. The fastest way to learn an instrument is through a tested curriculum. Follow our path. Our beginner section is huge! 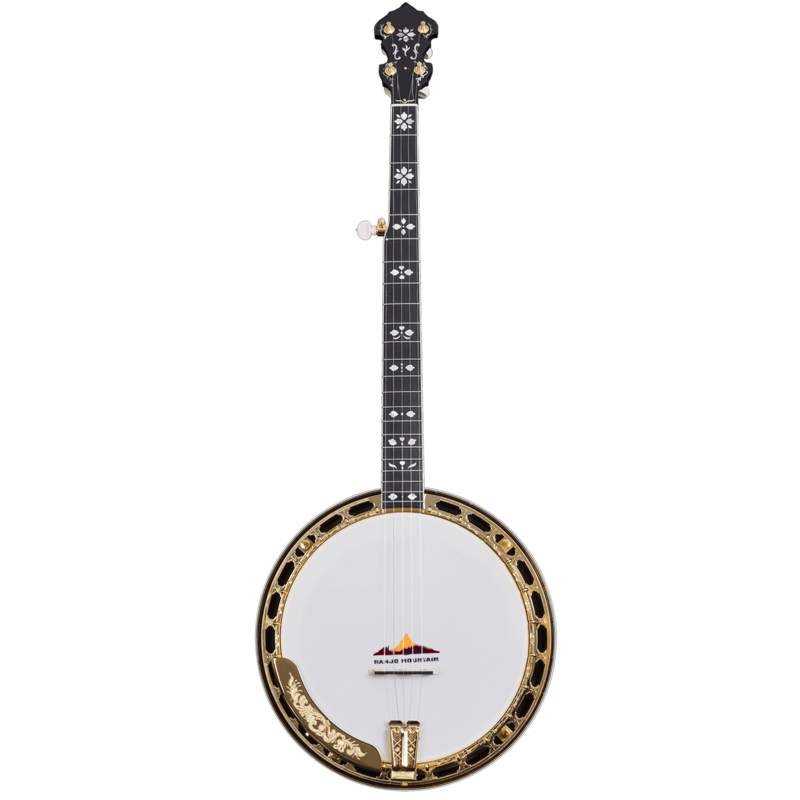 It’s designed to take someone who has no musical experience into the joy of proficient banjo playing. Here are a few lessons for you to sample but rest assured that this is just the tip of the iceberg. A lot of people have described the banjo as the musical equivalent of a magic trick. True, to the average Joe it can seem like an impossibly complex instrument. The good news is that despite this the banjo can be learned by anyone (including people with no musical experience!) Below is a basic overview of what is involved in learning to play the banjo. Rolls are picking patterns played with the right hand. They are the building blocks of banjo music. We play them with fingerpicks using the thumb, index and middle fingers exclusively. 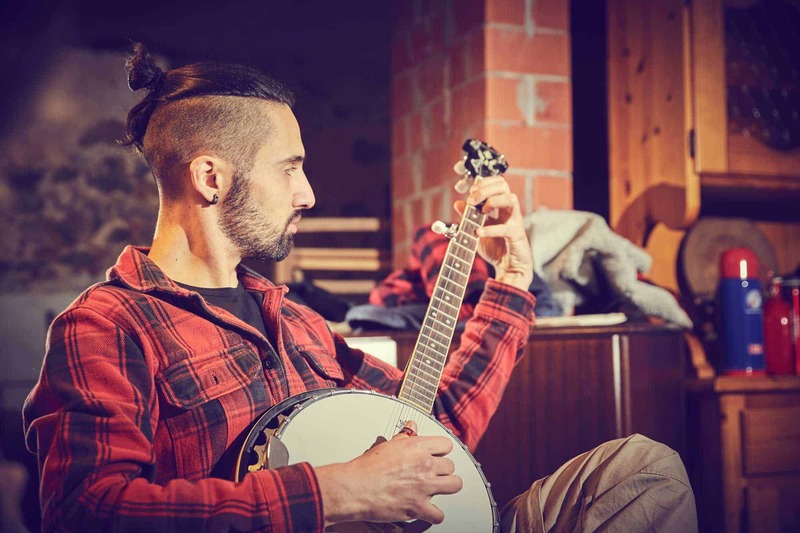 While there are an infinite number of roll combinations, a beginner will only need to learn a small set of rolls to unlock the world of bluegrass banjo. Fretting involves the left hand pressing down on the strings. When we use our right hand to pick a string that has been fretted with the our left hand we create a note. 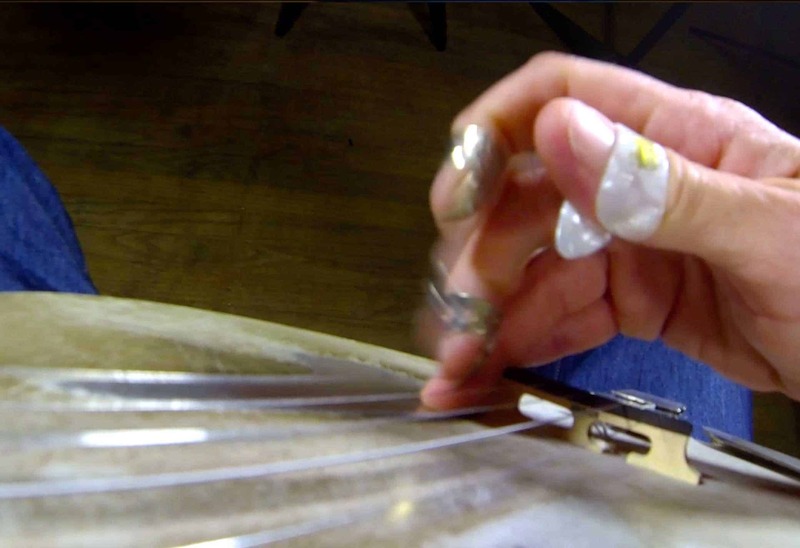 On the banjo’s fingerboard (front of the neck) you will see small metal bars. These are called frets. Depending upon which fret we press down on we can create different notes. This is true for all fretted instruments (i.e guitar). Rolls are picking patterns played with the right hand. They are the building blocks of banjo music. We play them with fingerpicks using the thumb, index and middle fingers exclusively. While there are an infinite number of roll combinations a beginner will only need to learn a small set of rolls to unlock the world of bluegrass banjo. We charge a low monthly fee of $14.95 and you can cancel anytime. That’s an unbelievable price for the easiest way to learn banjo! If you buy an annual subscription you can save 25%! Many people learning a new instrument assume that they can teach themselves. While this may sound like a great idea, more often than not this approach simply doesn’t work. Without a structured lesson plan, the student is often unsure what to practice and how to build on their learning. Lacking any clear direction in their approach, they cease to grow, lose their motivation and eventually give up. Research shows that students learn faster and with a greater success rate when working with a teacher and a structured step-by-step method. 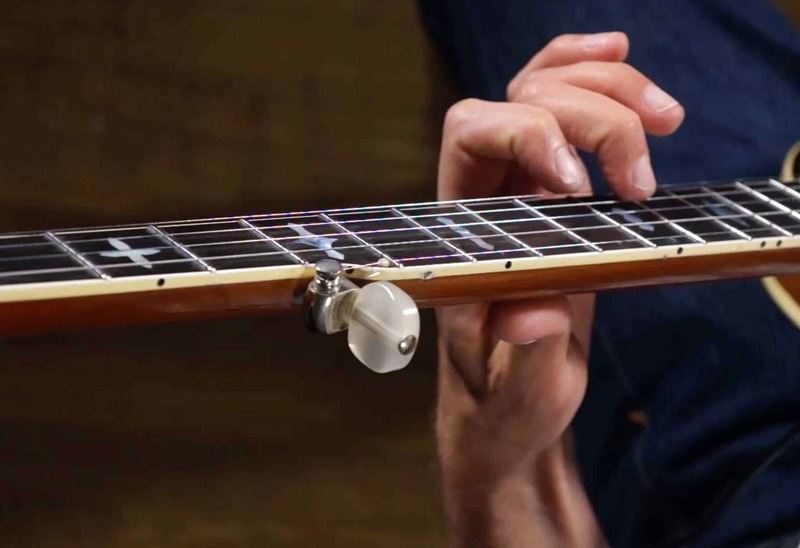 Watch the professionally edited lesson which incorporates multiple angles including angles of the neck and the right hand. Having trouble with the left hand? Watch the song focusing on the left hand only. Having trouble with the picking of a song? Watch what the right hand is doing during the song or lesson. Our lessons are shot by professionals in a studio. They are edited by a professional who cuts the chatter but keeps the good bits. Finally they are reviewed by the teacher to make sure nothing important is missing. It’s such a treat not to have to watch a YouTube video shot from someone’s bedroom. Our lessons are shot by professionals in a studio. They are then edited by a professional who cuts the chatter but keeps the good bits. Finally they are reviewed by the teacher to make sure nothing important is missing. It’s such a relief from someone’s bedroom on Youtube. Need to take a break from practicing for a few months? So easy! We understand that life can get busy. That’s why we made it easy to cancel your account and once the storm passes, you can activate your account to continue on. Banjo Mountain student playing in National Parks across the country. And growing! The Beginner section of our curriculum is huge. 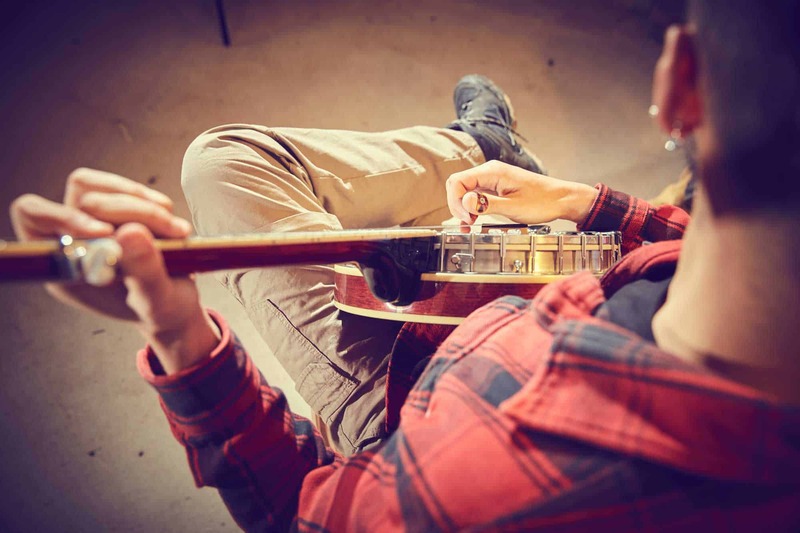 Taking you from “How to Hold a Banjo” to mastering songs like Buffalo Gals and Arkansas Traveller you’ll have well over a year’s worth of lessons to practice (unless your a musical genius). By the time you move into intermediate skill (or if you join Banjo Mountain at this level) you’ll find plenty of lessons to hone your skill further. We add lessons monthly so the library will continue to grow. He has been teaching Banjo for over 30 years. His students have ranged in age from 5-year-olds to folks in their mid-seventies. John has crafted the curriculum here at Banjo Mountain to take someone who has never picked up a banjo into the joy of playing proficiently. He’s both brilliant and easy on the eyes! Regardless of your age or background, you can start today.